When I first found out about the Princess Maker-series (by Genex/Gainex) a few years ago, I was thrilled. It was like The Sims (1, 2 or 3, it doesn’t matter), but better. As an anime and manga lover, of course I prefer such a look over avatars that pose to look realistic when they can only be caricatures of what is real. The main purpose of the games is to raise your daughter. You, as player, are a single parent and with the help of your butler, Cube, will need to fill in her daily life. No, your partner didn’t die. You have always been alone and always will be. The child was given to you by God, or rather, Goddess. She is also of child protection. If you do something bad, she will punish you. Your daughter will be ten years old at the beginning of the game, or almost ten, depending on the birthday. The best ending you can get, is the queen, either by marriage with the prince or a dead king. There are more endings, like marriages with the prince of darkness or a dragon youth. It is also possible for you or cube to marry her. Yes, you can also fail to raise her well and have her take on the prostitute job or gang leader. Common jobs as nun, archbishop, minister or judge are also included. What determines the outcome is the statistics of your girl. Have her attend classes, part-time jobs and meet people to get your wanted endings. The three Princess Maker games I’ve played are 2 (translated), 4 (pc and DS, japanese) and 5 (also japanese). The reason that PM2 was translated, and the others still aren’t, is the lack of interest from the west. Thanks to the internet it’s possible to follow the main story line with the help of fan translations, or translation software. It’s still better to learn japanese, go independence! Having both the japanese characters and the voice-over helps a lot while you’re learning. The downside (for learning japanese) of PM4 is that it’s set in a medieval fantasy setting. That aside it is still the most enjoyable of three I played. The PM4 DS version has three additional modes in which you take over the daily duties from Cube. Which means you have taken the day off to spend with your little girl. The activities differ on the three growing-up stages your daughter goes through. These modes are like a dating sim: You get a set of choices, based on that, the story will develope. After completing the mode, you will get access to a CG album where all the pictures of your adventures are stored. 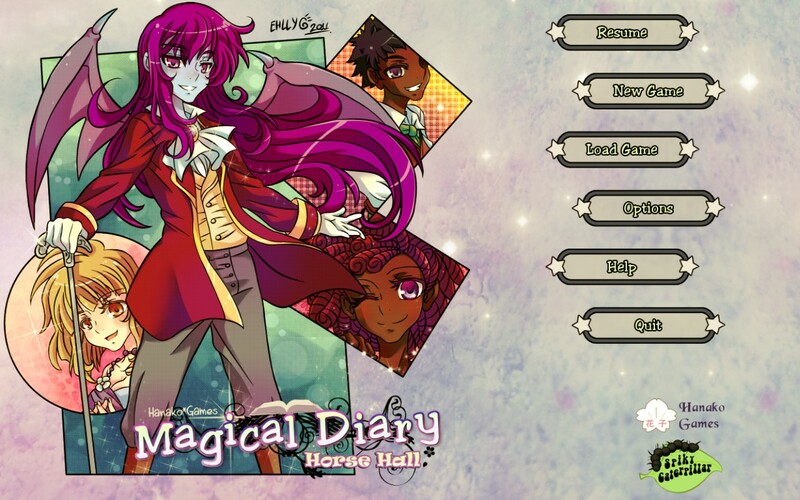 The album will also have CGs of the outcomes, vacations and social events you got from playing the main game. Although PM5 doesn’t have extra modes, it does include the album. The other difference between PM4 and PM5 is the setting. While PM4 has a fantasy setting, PM5 is set in contemporary Japan and you can choose between being a mom or a dad. The school life is comparable to what you see in animes and mangas. Yes, there is also the bishounen senpai (handsome upperclassman) who could end up as your future son-in-law. Another difference is that in PM4 you can manage her schedule per month, in PM5 it’s per week. As a result it will take you more a week (without playing whole days) to finish one play through. The depth of the storyline is better though, because there is more space for details, like phonecalls and texts from your friends. It will get boring after a while, also because not all is voiced. I might decided to dedicate a separate blog to all the three versions as a more in-depth review as I have not talked about PM2 yet and PM4 and PM5 have aspects still not mentioned.